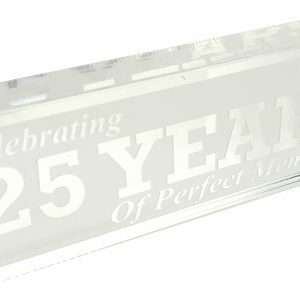 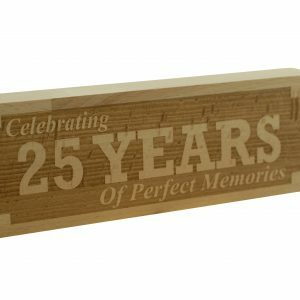 Celebrate your twenty-fifth anniversary with a gift that truly marks your life together. 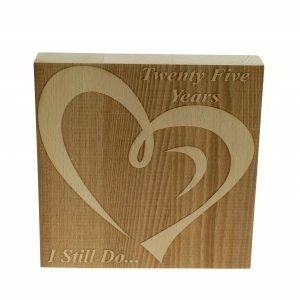 Your silver anniversary is the mark of 25 years, ¼ of a century spent together. 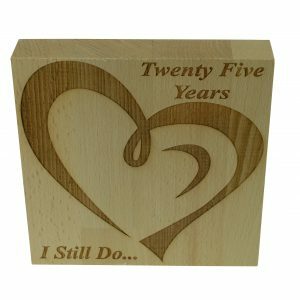 The tradition behind the gifts are that as your marriage grows and gets stronger so does the gift. 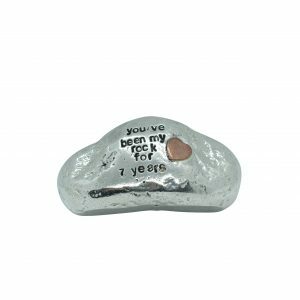 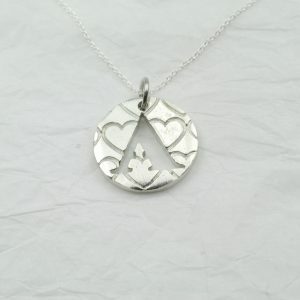 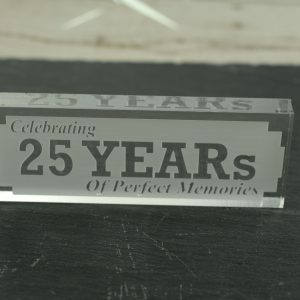 Silver is the traditional gift for the 25th Anniversary. 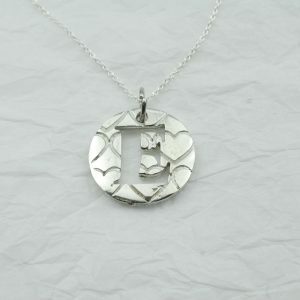 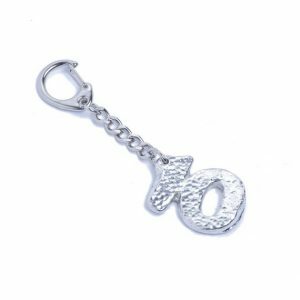 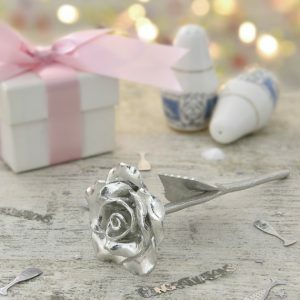 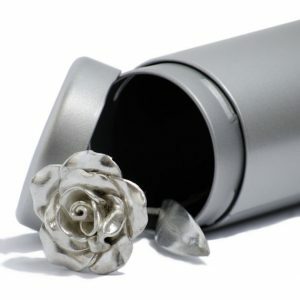 Silver is a precious metal, its one of the seven metals of antiquity along with gold, copper, tin, lead, iron and mercury. 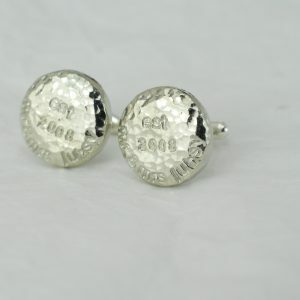 These seven metals were identified and found in prehistoric times, they forged the modern world. 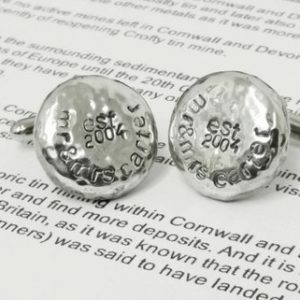 Silver is timeless and everlasting, the white lustre metal polishes up so well it became characteristic forming the colours name. 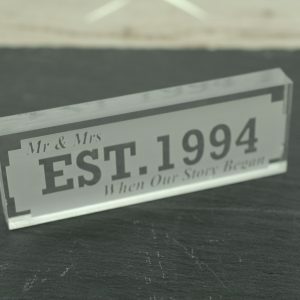 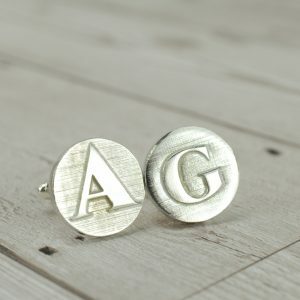 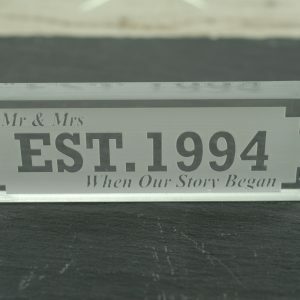 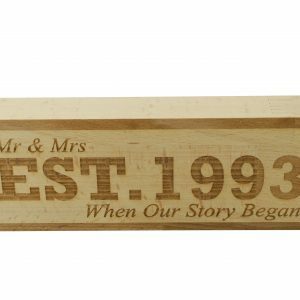 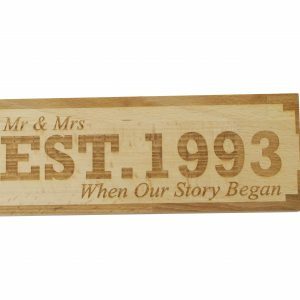 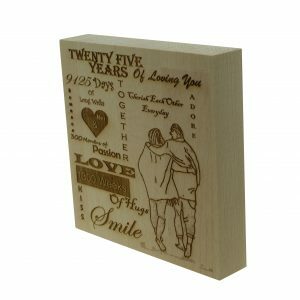 Show your partner that your love is timeless and everlasting, show them you love them as much today as you did on your wedding day with the gift that says it all. 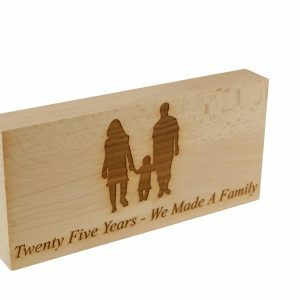 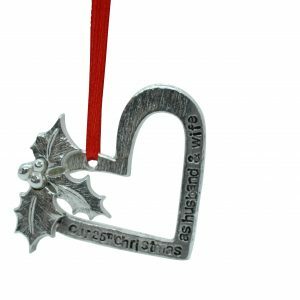 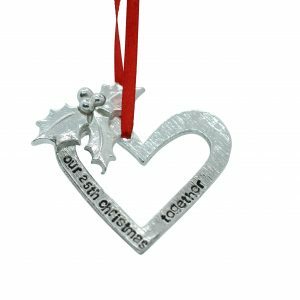 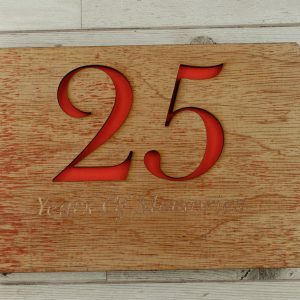 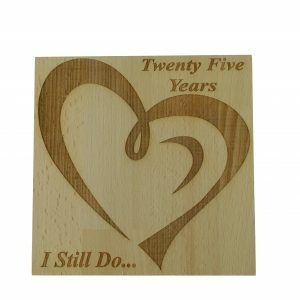 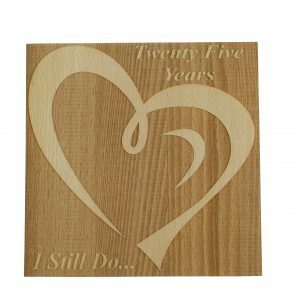 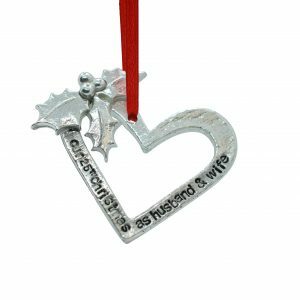 ‘25 Years I Still Do’ is a free standing beech decoration available in light and dark beech. 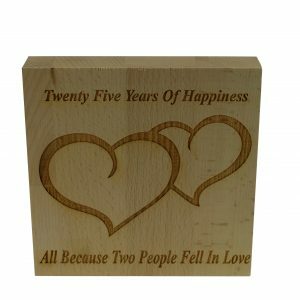 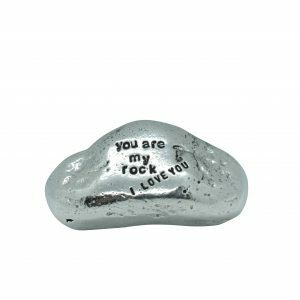 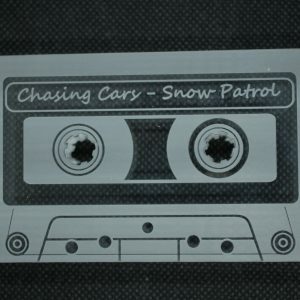 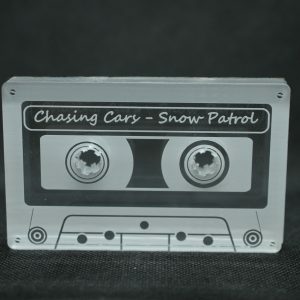 Our lighter product has the inscriptions and the heart laser engraved, our darker product has the background laser engraved. 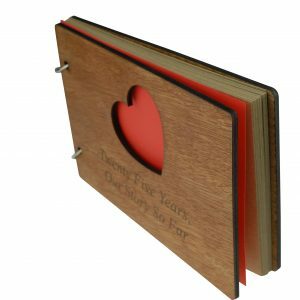 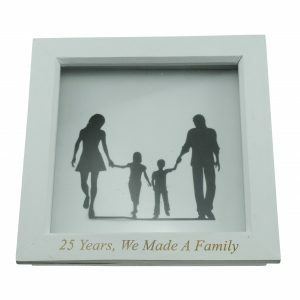 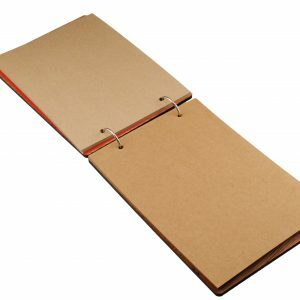 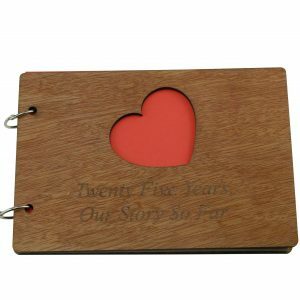 ‘25 Years Our Story So Far – Scrapbook’ is a great idea to reminisce over your 25 years of marriage, fill this book with photos from all the best moments, the days out, nights in, holidays taken, baby births etc. 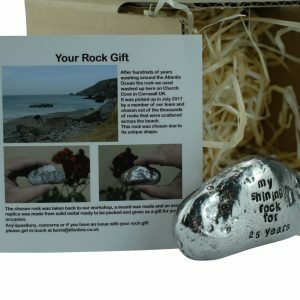 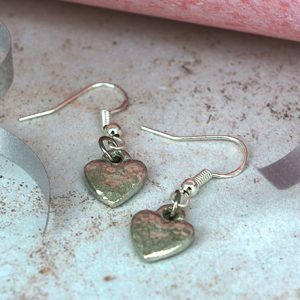 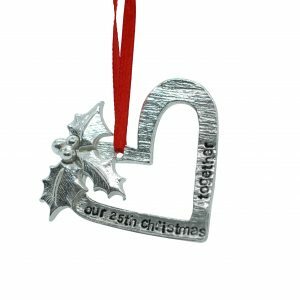 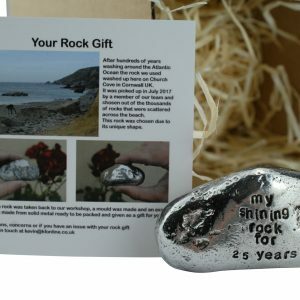 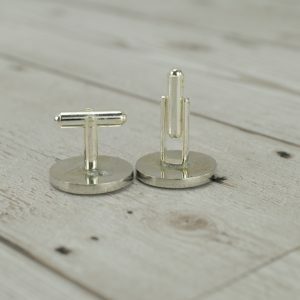 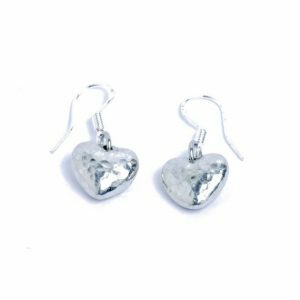 All products are lovingly made in Cornwall, UK.